Are you looking for a place to base your startup? Or are you a freelancer looking for coworking spaces in Basel because you are sick of your home office? I have gathered a couple of places that might suit your needs. I did not try them out all, yet. I’m regularly updating this post, so if you open a new spot, send me a mail. Full map at the bottom of the post. The cheapest option and right in the center of the city. The Unternehmen Mitte Café downstairs is the perfect place to work for an afternoon. They have a very interesting concept where you do not have to consume anything. You can just go there an enjoy the free (and unreliable) Wifi. I’ve personally given up on this option, too noizy/busy. The actual coworking spaces are on floor 1 and 3. The 3rd floor is very quiet. You can bring your own chair. The ones provided are not great if you spend the whole day working there. Some people also brought some pieces of furniture to stock their belongings. The first floor is busier. From events to coaching for startups they offer it all. The academy is also looking for volunteer experts and mentors to help their startups grow. They are located in the city center, right next to Aeschenplatz. This is the perfect place to go if you work in scenography or in the cultural domain. A central coworking space. Nice design chairs and a focused atmosphere. Right in the center of the city. It’s the closest option to the train station. The opened in February 2016. 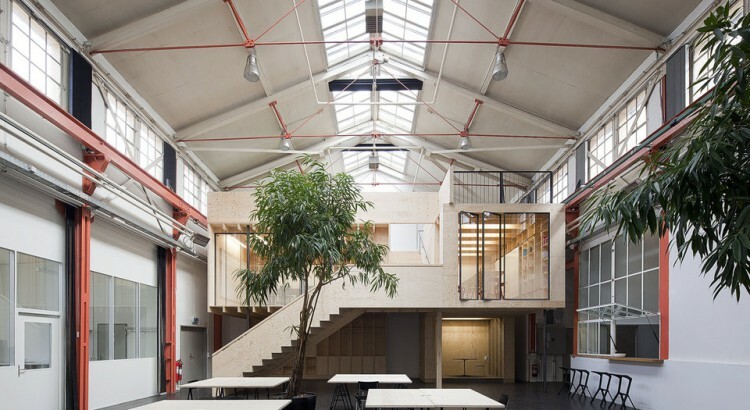 It opened on Feb 1st, 2016 and is the first coworking space in Basel (Switzerland even?) especially dedicated for craftsmen. This workspace is based just behind the French border, in Hegenheim. It is the cheapest solution for a monthly usage, but the most expensive per day. They do not advertise their prices on the website. A new space, opened in 2017 is located right behind to the train station. With access to a fitness room and billard. Clearly on the high end of the spectrum with their CHF 420 for 2 weeks. But you get to work from within iArt on the Dreispitz. In the core of Kleinbasel. Probably the best option for the summer if you want to have a swim over lunch. Spaces come and go. The ones below have ceased to exist and returned to other uses. Launch lab: This used to be a coworking space, now they only rent (cool) spaces for your event or workshop: launchlabs.ch. People have plans for the future. Basel might get its Impact Hub. Follow their launching events here. Stellwerk is not a coworking space but they rent out rooms for creative people. R105 is specially dedicated to creative/art/culture related workers. Unterdessen is an organization providing a temporary office in buildings with having to be repurposed. You might need Google Translate, the website is only in German. Incubâle fixdesks from CHF 350 per month. Did you hear of any other spots? I’m pretty sure there must be some creative agencies renting out some of their desks as well. Let me know if you have something.